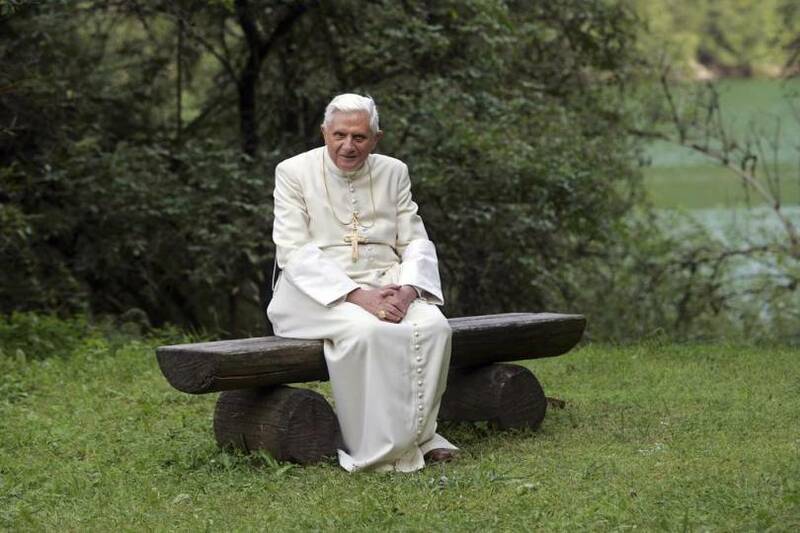 Pope Benedict XVI, 85, who has been considered a guardian of the faith, upholding the traditional teachings of the church leading the clergy in the defense of the faith, announced February 11, 2013 he is resigning as Bishops of Rome and Pope effective at the end of the month. Regarded as one of the sharpest theologians in the church both before and during his pontificate, in person he was soft spoken and grandfatherly. It was those latter qualities that endeared him to the public although it didn't spare him controversy and negative media coverage. 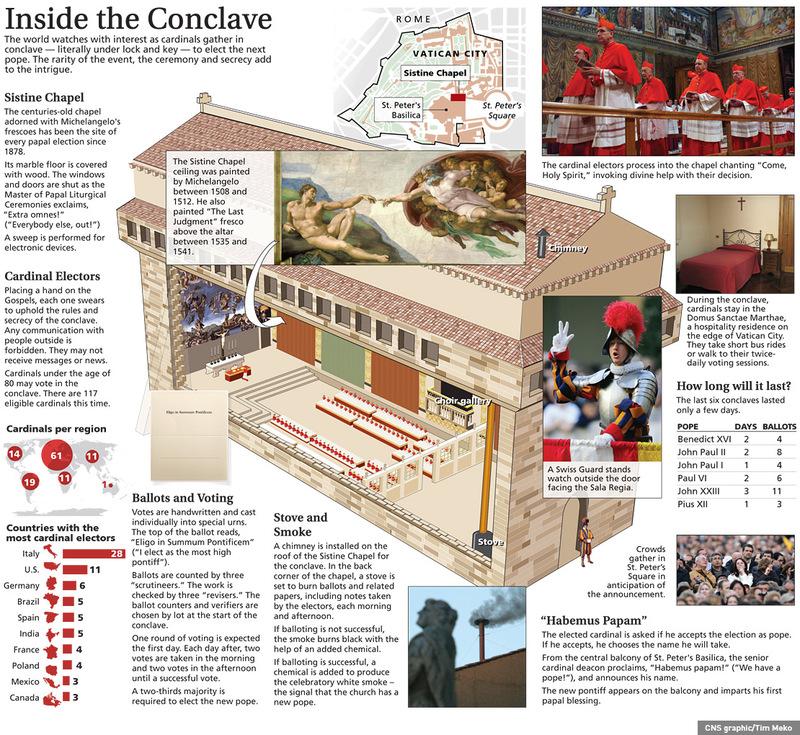 In his unscripted address in the Vatican's Paul VI Audience Hall, the Holy Father shares his experiences of the Second Vatican Council and the proper interpretation of the Council, which began 50 years ago. 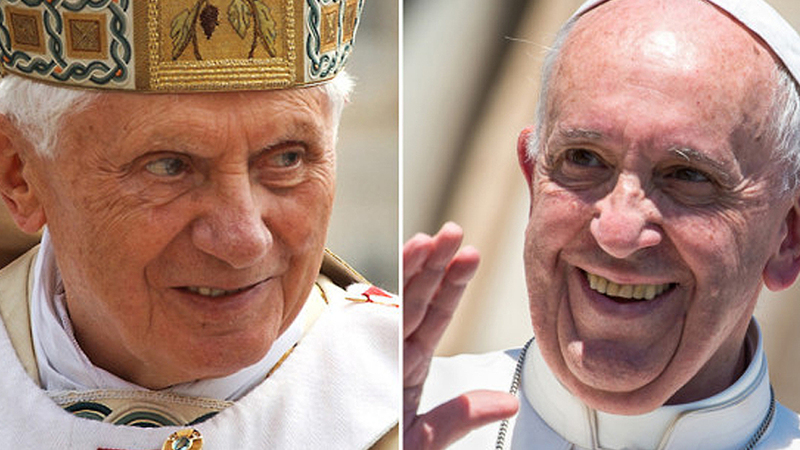 The Pope has announced that he will retire on Feb. 28. 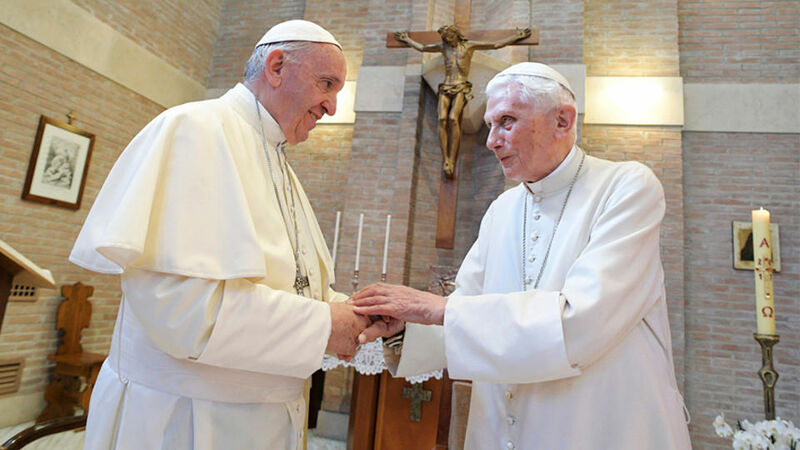 Pope Benedict XVI prays the Angelus on February 24, 2013. In his address, translated from Italian into English, the Holy Father reflects on the temptation of Jesus in the desert. This is the final Angelus address that the Pope will give before his retirement on Feb. 28. 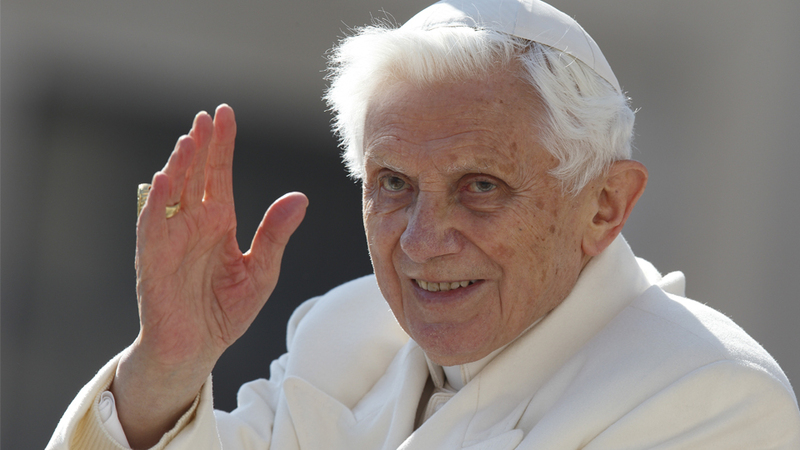 Benedict XVI's resignation officially took effect at 8:00 pm local time on Thursday, Feb. 28, 2013. At this time, the doors of his residence at Castel Gandolfo were closed and the Swiss Guards were replaced by the Vatican gendarmerie. Sebastian Gomes speaks with Cardinal Donald Wuerl, Archbishop of Washington, D.C. in Rome on the final day of Pope Benedict's Pontificate. 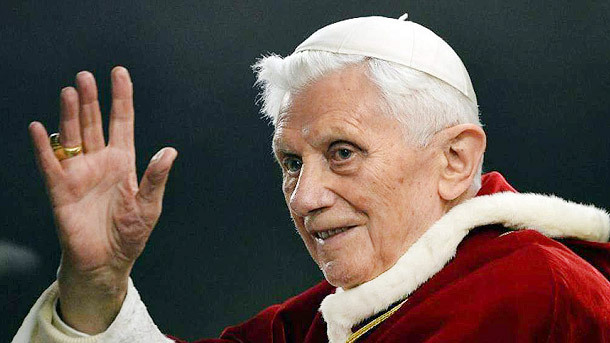 The Cardinal shares his thoughts on Pope Benedict's departure, his lasting legacy, and the important characteristics of the new pope. Few people understand the Vatican better than John Allen Jr., a Senior Correspondent for the National Catholic Reporter in Rome. 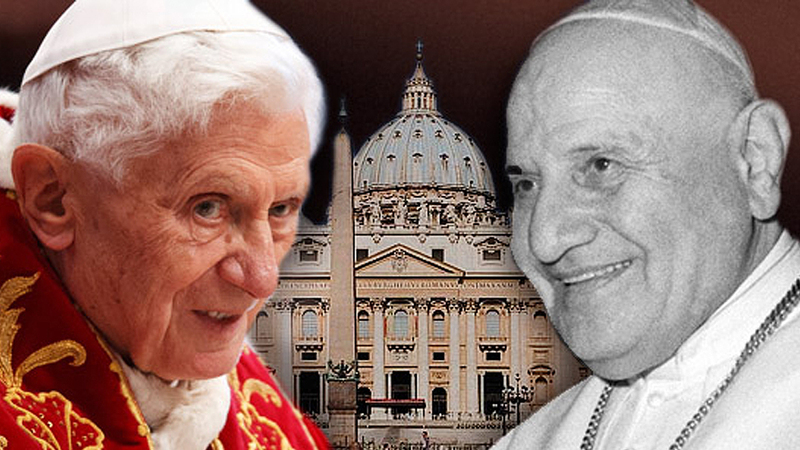 Since Benedict announced his resignation, John has been doing his homework on the "papabili," or "papal candidates" who are most likely to succeed him. 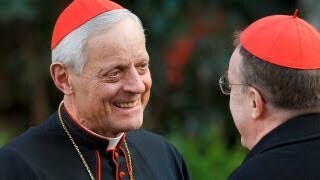 In these segments we look at some of the most dynamic Cardinals from around the world. Here's a look at what's expected to take place in the Sistine Chapel March 12, 2013 as 115 cardinals choose the next pope.